This may just be one of my favorite items I have ever featured on my blog. This darling and extremely useful bag, from Grateful Bags, is a fantastic piece to have. 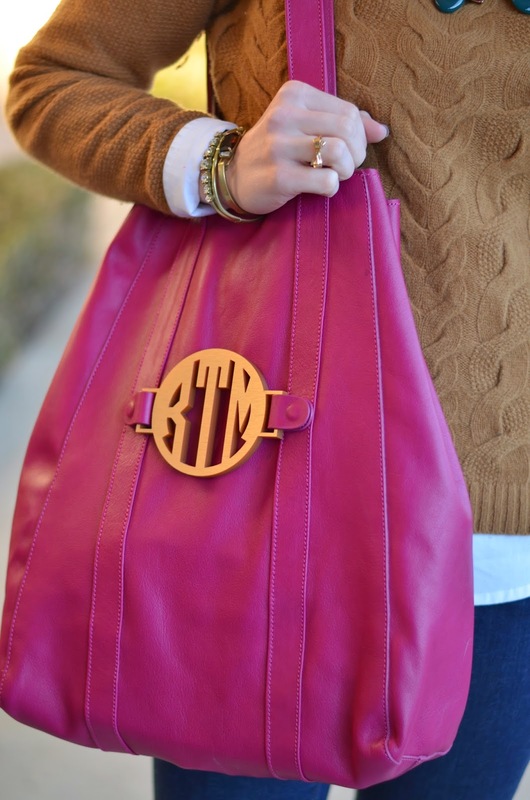 This company is just brilliant…genuine leather bags that are completed with your initials. 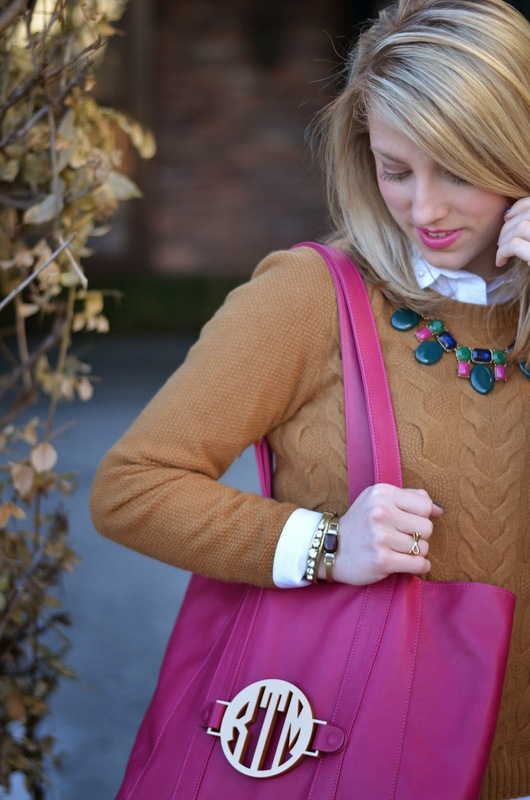 I chose the Julia tote as it is perfect for school, work, and even a large purse. I am enjoying taking it around town and bringing out pops of pink in my outfits with it. 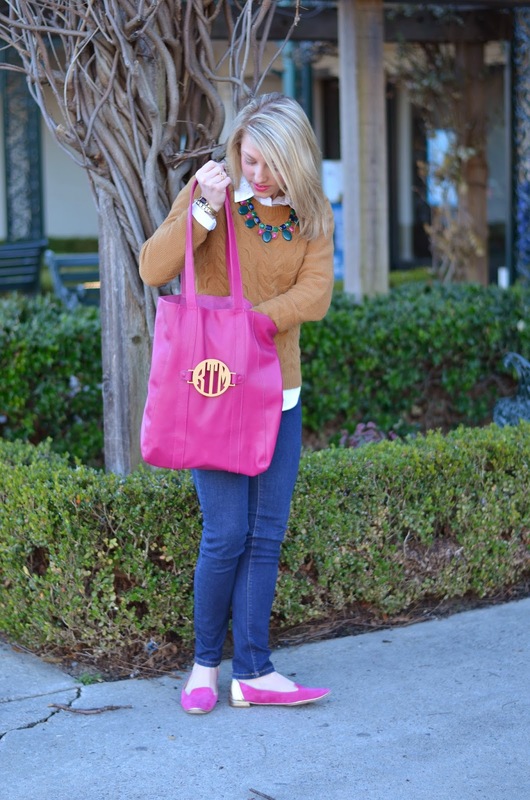 You can choose from a variety of bag and monogram colors…they are so fun to design and choose your color scheme. I also love how you can change the shape of the bag with the way you carry it (see the difference in the shape in photos 1 & 2). Grateful Bags offers a wide selection of bag sizes. 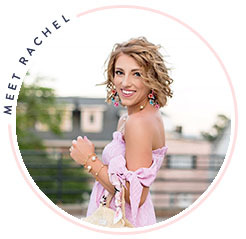 What is even more exciting is that Jenny, the owner of the company, has graciously offered a discount code for the readers of A Preppy State of Mind to receive 40% off your entire purchase plus free shipping by entering the code "MONOGRAM" at checkout. So, shop away! To see more of Grateful Bags, you can follow along on Instagram, Twitter, Facebook, and Pinterest. Don't you just love these adorable bags! 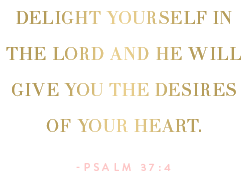 I LOVE your shoes (the gold accent is awesome)! And the bag goes with it so perfectly! :) Great outfit! 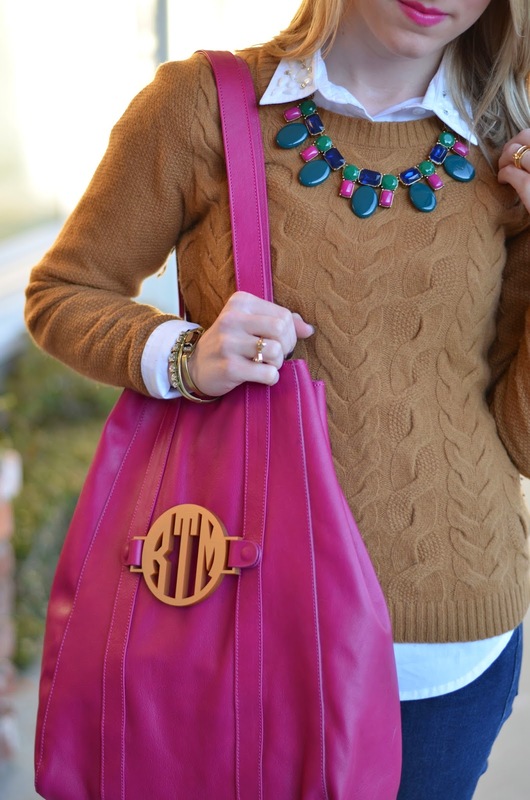 That monogrammed bag is adorable!! 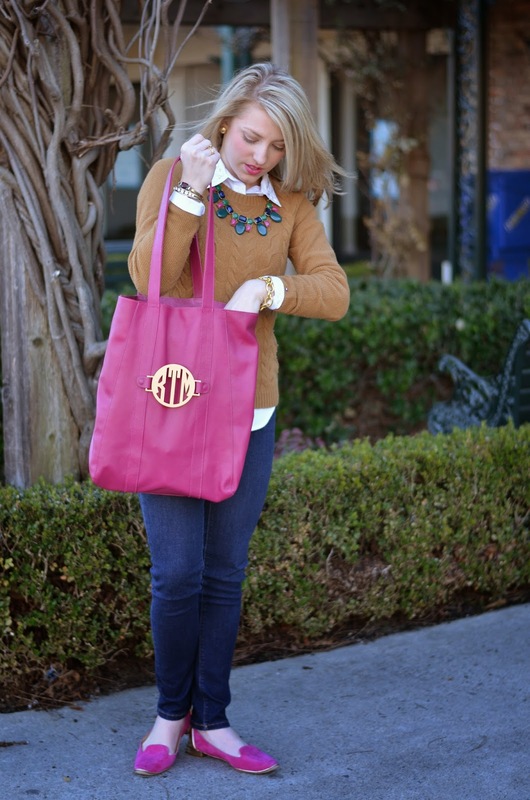 I love all things monogrammed. And I love your shoes!